Designed to inspire. Crafted to last. Fieldstone Cabinetry is not your average run-of-the-mill cabinet manufacturer. We use hand-selected woods, careful construction, and furniture-quality finishes for generations of durability. As proof, cabinet manufacturer Fieldstone offers warranty protection you can take confidence in. A cabinet manufacturer that fulfills your vision of beauty. Fieldstone Cabinetry uses only the finest woods, timeless styles, striking embellishments and a truly amazing spectrum of finishes to give you the creative freedom to express your personality. If you're searching for a cabinet manufacturer with skilled designers and an endless array of custom cabinets, consider the distinct feel, beautiful finish and incredible detailing of Fieldstone Cabinetry. You can hang any cabinet; so choose a cabinet company that can hang with you. There are lots of cabinet companies out there. But when you choose Jim Bishop Cabinets, you get our family's long-standing commitment to serving you like no other manufacturer can or will. 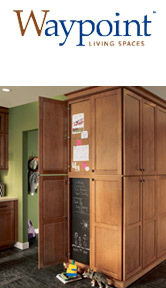 With Bishop you get more than beautiful cabinets at a great price. You get the extra effort that comes when the family still runs the family business. 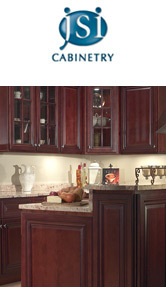 Bishop Cabinets has been in business for over 45 years. During that time period we have grown at a modest rate by investing in technology and machinery that has raised the level of quality in our product. We are a debt-free company that through the years has prepared for bad economic conditions such as the one we are in at this time. We are committed to a quality product, environmental stewardship, and impeccable customer service. Give Bishop a try and see the difference. 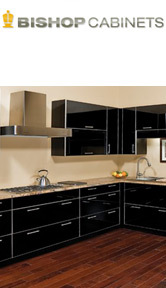 We stock manufacturers of quality all-wood (no particleboard) kitchen and bath cabinetry. Our recently expanded 125,000 sq/ft facility located in the Industrial Park of Fall River, Massachusetts, allows for easy access to major trucking routes for redistribution. Our current product has grown to 7 kitchen lines and 9 vanity lines. You have the ability to choose from a large assortment of styles and colors including stains, paints, glazes, regular or full overlay, even inset. 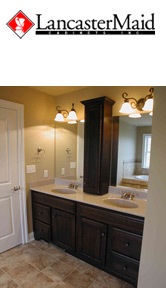 We also offer 4 sizes of granite vanity tops in 5 different colors, as well as 18 gauge stainless steel under-mount sinks. All in stock and ready for immediate delivery. The goal of JSI is to offer today's high-end fashions and trends without the high prices typically associated with this product category (Affordable Fashion). The product is affordable and maintains the quality standards a customer purchasing within this category expects. See what everyone's talking about and discover why so many people are excited about our product lines. We can make a difference. Gracious living is marked by qualities of charm, good taste and generosity of spirit. It is further characterized by self-fulfillment and the enhancement of nature. Our mission is to improve your sense of gracious living in every experience you have with a KOHLER® product or service. From sustainable products in kitchen and bath to some of the most beautiful furniture of Baker and McGuire, from engines for lawn tractors and generators for marine and home standby, and power systems that protect data centers and urban landscapes, to a headquarters hotel for a golf Major, this is what Kohler Co. is all about. We love our work, and we love the opportunity to still make you smile as you remember years after. Exactly what you hadin mind. Connect with a brand that gives you exactly what you have in mind. If you could imagine it and make it so, that's what we want your remodeling experience to feel like. We'll work with your designer to give you the living space you're dreaming about right now. Collaborate with a dealer to make your remodel easier than you ever thought possible. Waypoint supports your dealer, enabling them to provide a stress-free experience throughout the remodeling process. Celebrate the living space you imagined and share it with family and friends. Host your guests with pride and toast how easy it was to create a living space that's exactly what you had in mind. Waypoint Living Spaces™ are built to gracefully endure life's torture tests. Six-way adjustable hinges are German-engineered with a nickel-plated finish over steel construction. Hinges allow for 105° opening. Sturdy 5/8" natural hardwood dovetail drawer construction with solid plywood bottom exceeds KCMA load standards. Exclusive Full Access Hidden Glides® feature steel ball bearing mechanisms that quietly roll for a lifetime of continuous use. Waypoint 21-inch drawers with Exclusive Full Access Hidden Glides® open all the way to the back. 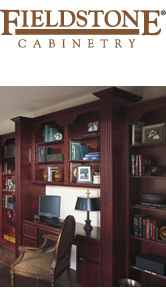 Optional furniture ends provide a polished, finished look to the visible sides of cabinets. Quality Cabinetry in the Lancaster County Tradition. Lancaster Maid Cabinets, Inc., is a manufacturer of custom cabinetry located in northeastern Lancaster County, Pennsylvania. Since our humble beginning in 1986, we have been committed to providing our customers with quality custom cabinetry at affordable pricing. Most of our offering is geared toward kitchen and bath design. However, being custom, we have supplied cabinetry for applications including home offices, libraries, entertainment centers, and many others. As manufacturers, we primarily wholesale to retailers outside of our locality. Our geographic service area is confined to the northeastern U.S. We do a small amount of local retail work, usually acquired by referrals of past customers. Most of our work is completed using Red Oak, Cherry, and Maple, but we have the ability to offer other wood species on request. We have a very diverse offering of door and drawer styles to complement any decor. 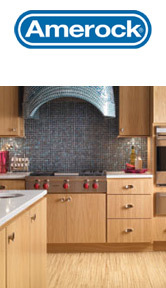 You can count on us to work very hard to acquire and keep the opportunity to serve your cabinetry needs. Delta faucets started out as a new innovation that won wide approval, and over the years, a consistently high level of quality has validated their reputation, time and again. Manufactured to meet federal, regional and local specifications, Delta faucets offer abundant replacement parts, a comprehensive warranty, and confidence earned through a punishing regimen of durability testing. Handles are turned on and off 500,000 times to ensure leak-proof performance for years. And before it leaves the plant, every faucet undergoes more than 100 hand inspections, including air and water testing. 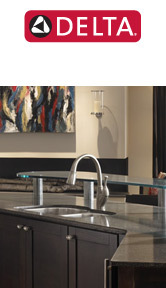 To the customer, it can seem like each Delta faucet was made with them in mind. We listen closely to what consumers want and need, invest in extensive research and design, and apply smart technological solutions that really do make our customers' lives easier. We are at the cutting edge of product innovation. But we've been there for 50 years now, so we know exactly what it takes to stay there. At Delta® faucet, we believe that there are better ways to experience water. This conviction goes beyond excellent design to incorporate smart thinking that anticipates people's needs. Our technologies include MagnaTite® magnetic docking spray wands that stay in place, to Touch20® Technology faucets turned on or off with just a touch making life easier when hands are messy, to DIAMOND™ Seal Technology valves that help the faucet last up to 5 million uses-Delta® faucets incorporate thoughtful features that delight the customer. 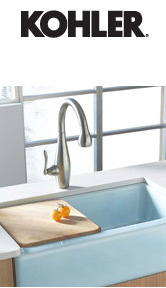 When paired with beautiful, inspirational design, it's easy to understand why Delta® is more than just a faucet. 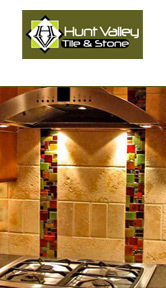 Hunt Valley Tile & Stone, LLC. opened in their current location in June of 2006. The company was formed by Donald Wernecke and Temple Moore, together with over 34 years combined experience in the tile and stone business. Both starting at the ground level and learning the business from the bottom up, they have been educated in all aspects of the industry. The two have created an exceptional showroom with the latest trends and styles the industry has to offer. Catering to: the homeowner, designer, architect, builder and contractor, they and their staff can make your visions come true. Hunt Valley Tile & Stone is an importer and distributor of high quality and hard surface materials from the world. We use all of our resources to bring our customer the latest and most interesting products imaginable. Our extensive product lines consist of, but are not limited to; Natural Stone (i.e. Marble, Granite, Travertine, Limestone, Slate, etc. ), Porcelain, Glass, Homemade Tile, Metals and Mosaics. Hunt Valley Tile & Stone, LLC., has set a goal to be the best in the business by offering unprecedented service and products to its customers. Staying in touch with the latest in product development and newest fashions that the tile and stone industry has to offer, Hunt Valley Tile & Stone, LLC., sets itself apart from others. For more than seventy years, Amerock™ has been the industry leader in manufacturing quality cabinet hardware and in providing dependable service to cabinet makers and homeowners nationwide. Amerock™ offers exclusive designs crafted by Amerock™ artisans as well as the time-honored classics. All are produced with careful attention to quality and style which makes the difference in how there cabinet knobs and pulls look and perform.